This entry was posted on July 9, 2014 at 11:24 pm	and is filed under MURPHY Harriet A. S.. Tagged: Abraham Lincoln, Harriet Anderson Stubbs Murphy, William McKinley. You can follow any responses to this entry through the RSS 2.0 feed. Both comments and pings are currently closed. 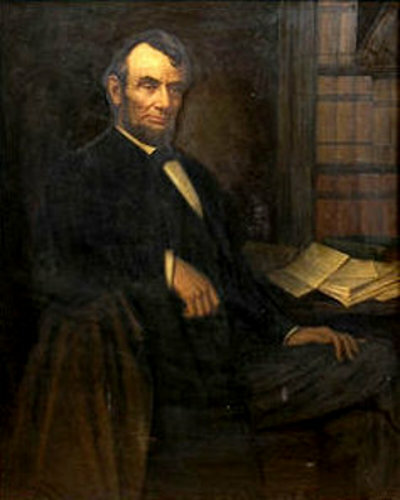 The portrait of Lincoln is very realistic compared to many other portraits, painted by many artists of the past and present. However, in the picture shown above, the painter seems to have worked a lot on the subject’s head, and most likely it has been added at a later time. I think it’s pretty evident the different hues and shades of color, and the halo that surrounds the head of Lincoln. 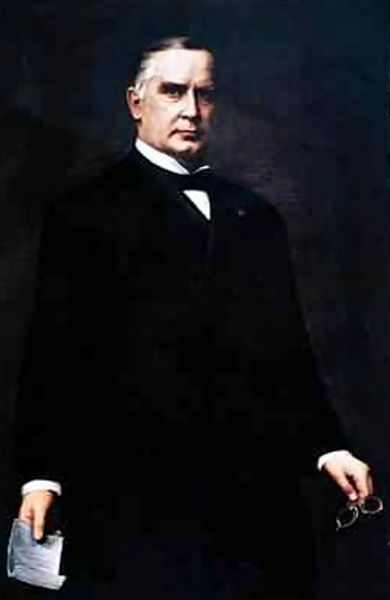 Perhaps the painting would need to be restored, so as to eliminate the no estetic halo surrounding the head of the President.